If you need an exceptional backpack that will hold a great deal of gear without interfering with your movements or your engagement in a combat situation, this backpack is the ideal choice. The Israeli army green color is ideal for military applications; it ensures that this bag is suitable for anyone who needs to use it. 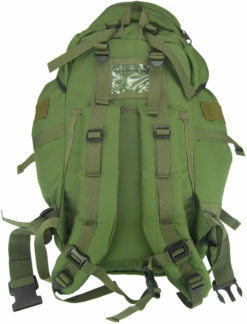 Israeli Weapons developed many backpacks and bags for the Israeli army, this backpack is the result of years of development and experience side-by-side with the Israeli Army. This commando backpack used by the Israeli army, that is why it was tested in the field and made only from top materials. Any backpack used in stressful conditions must achieve two essential functions – practicality and comfort. 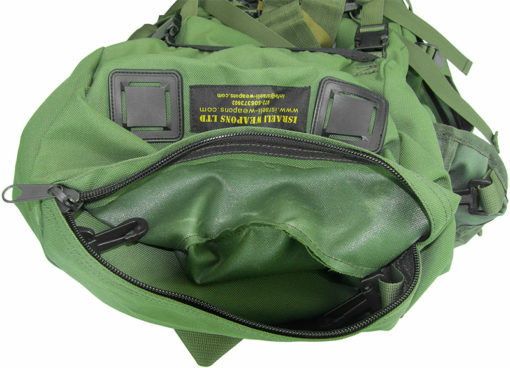 It’s vital that you have a way to carry all of your tactical gear in a manner that allows for convenient access while still keeping your property secure when repositioning. You need a backpack that provides sufficient space for your daily needs. 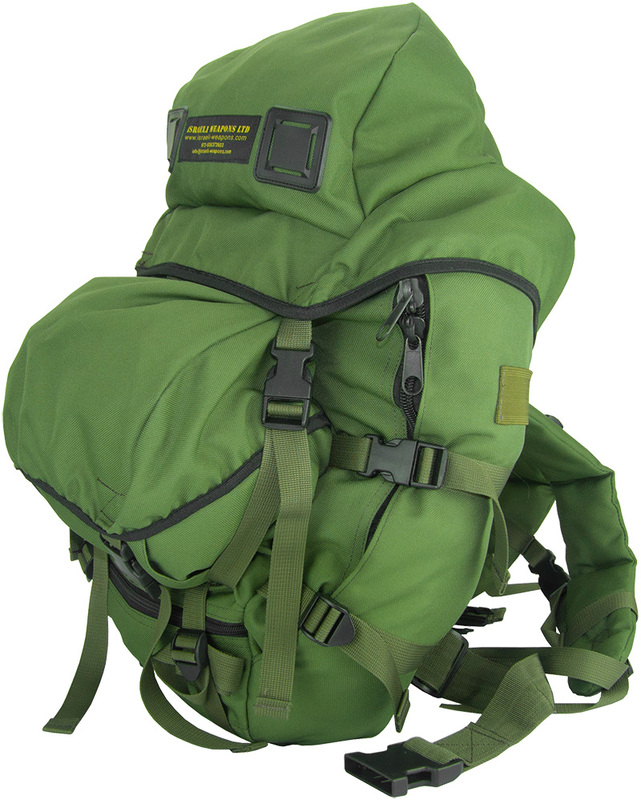 Once fully packed, the bag must be comfortable to carry and be durable enough to withstand various conditions. Everything should be compact and remain still while you carry the backpack so that it does not become a distraction. 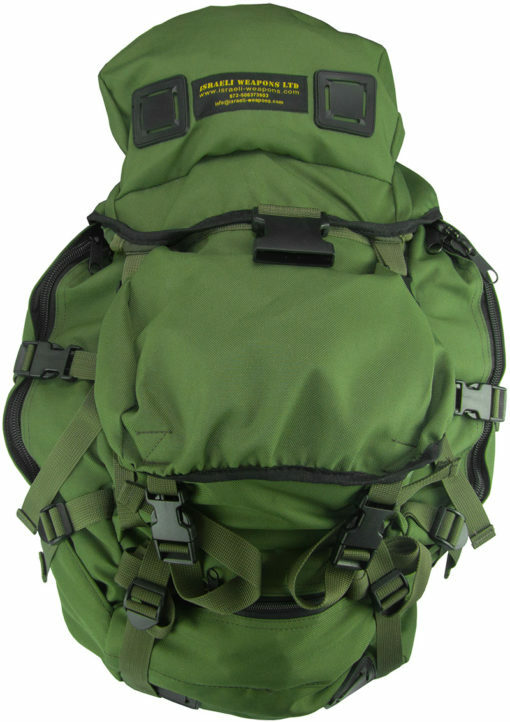 Your rucksack should also make it easy to carry your gear without causing discomfort or getting in the way as you move or fight. Materials selected for the commando backpack are quality controlled to ensure that each part will work appropriately under the most intense circumstances. 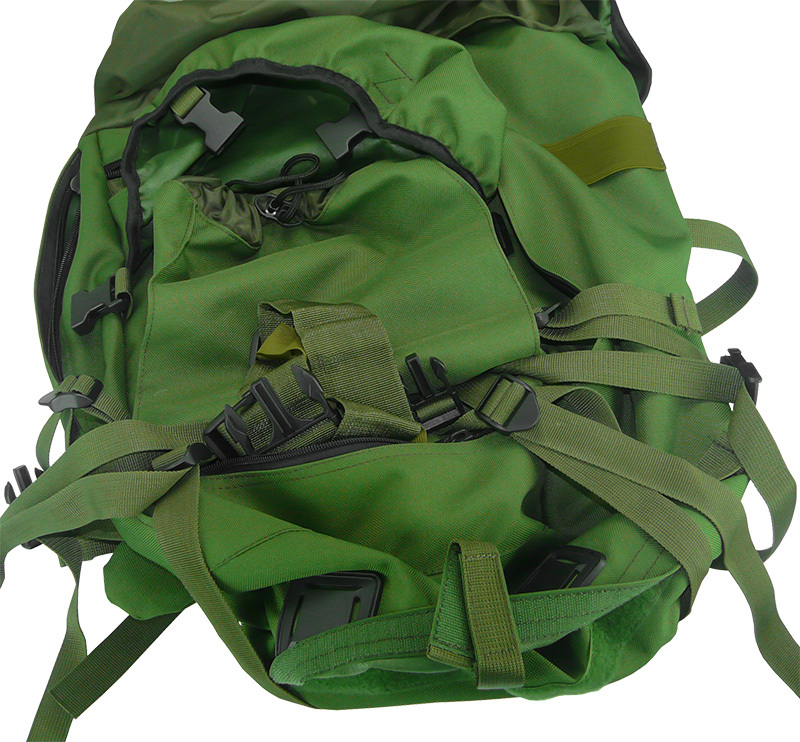 A secondary element of quality is the way that it functions in field conditions. 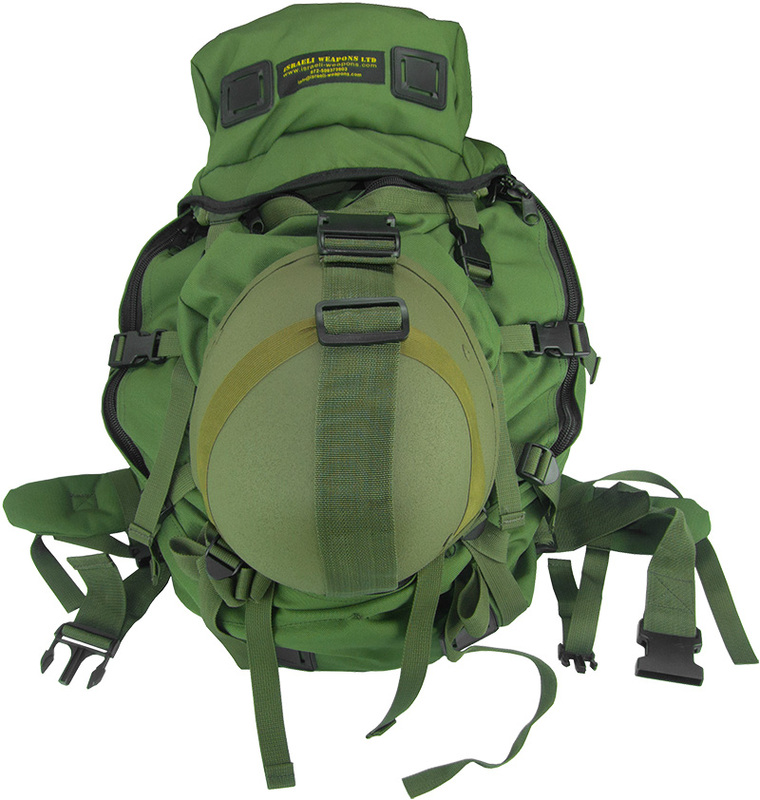 The top has a separate pouch with a reinforced lining to help ensure that you can keep any essential gear accessible without the risk that they will damage your backpack or get wet in rain. 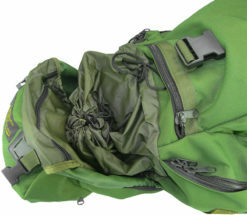 There are side pockets on each side of the bag which are protected by an overlapping piece of fabric to keep the moisture away from the zipper. All compartments are secured by outside clips to help ensure that everything will remain in place. The straps on the backpack are padded which makes it easy to carry a full backpack without the weight causing the bag to dig into your shoulders or move around when you are walking. 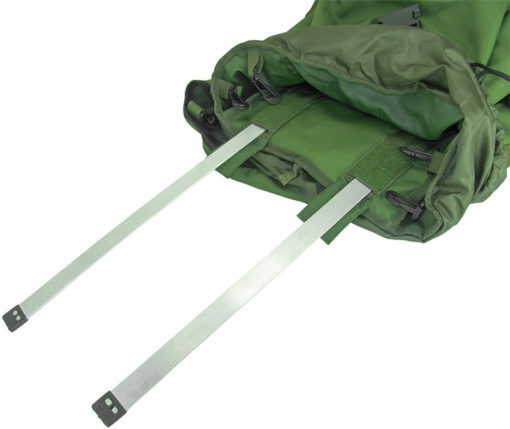 There is an additional strap that can be used to secure a helmet to the back of the backpack so it’s easy to carry but still readily accessible. The front of the commando backpack also contains a large pocket which can be used to hold essential gear. When carrying a helmet, this pocket will have extra protection which makes it ideal for your valuables.